Leidos's board of directors is comprised of men and women who have distinguished themselves in industry, finance, health care, and government service. 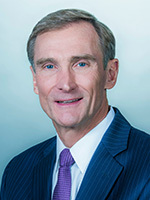 Roger A. Krone is Chairman and Chief Executive Officer of Leidos. With approximately $10 billion in annual revenue and 33,000 employees worldwide, Leidos is a recognized global leader in solving important problems in the defense, intelligence, homeland security, civil, and health markets. Before being named CEO in July 2014, Krone held leadership roles at some of the most prominent organizations in aerospace for nearly 40 years. For Krone, the future of Leidos is one with a laser focus on its customers, shareholders, and employees. Under his strategic vision, the organization remains committed to investing in critical internal research and development efforts. He is the driving force behind the company's culture of innovation, the environment shaped to inspire employees to create innovative technology solutions that respond to client’s challenges today and tomorrow. 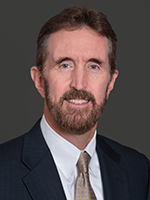 Before joining Leidos, Krone served as president of Network and Space Systems for The Boeing Company, where he provided calculated direction for approximately 15,000 employees in 35 states and 12 countries. His organization provided integrated technologies to government and commercial customers. 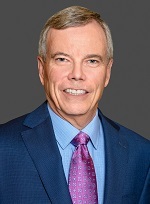 He joined McDonnell Douglas in 1992 serving as director of financial planning, vice president and treasurer after a 14-year career at General Dynamics, where he held positions in program management, engineering, and finance. Krone also previously served as chairman of the board of directors of the United Launch Alliance, a 50-50 joint venture between Boeing and Lockheed Martin that helps carry weather, telecommunications and national security satellites to space and employs more rocket scientists than any other company in the world. Krone earned a bachelor's degree in aerospace engineering from the Georgia Institute of Technology, a master's degree in aerospace engineering from the University of Texas at Arlington, and a master of business administration from the Harvard Graduate School of Business. A Six Sigma Green Belt, Krone is both a licensed commercial pilot and a certified public accountant. He is also a Fellow of the American Institute of Aeronautics and Astronautics and a Fellow of the Royal Aeronautical Society in the United Kingdom. Krone is a member of the Georgia Tech Foundation Board of Trustees, and a member of the board of WETA Public Television and Radio in Washington, D.C. He is a long-time supporter of the Urban League, and currently serves on the board of the Greater Washington chapter. He is also a member of the Executive Council of the Aerospace Industries Association (AIA) and a member of the Aircraft Owners and Pilots Association (AOPA) Foundation’s Board of Visitors. 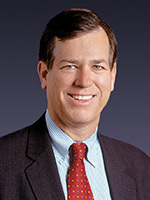 Gregory R. Dahlberg previously held various senior executive positions at Lockheed Martin, most recently serving as the Senior Vice President for Washington Operations from 2009 to 2015. Prior to his years at Lockheed Martin, Mr. Dahlberg served as Minority Staff Director of the House Appropriations Defense Subcommittee with jurisdiction over funding for all Department of Defense and intelligence agency programs. He also assisted in authoring the landmark Budget Enforcement Act of 1990. Mr. Dahlberg was confirmed by the Senate as the 26th Under Secretary of the Army in 2000 and also served as Acting Secretary of the Army from January 2001 to March 2001. He received a B.A. in Business Administration and Political Science from Luther College and an M.P.A. from The American University. David Fubini is a Senior Lecturer at Harvard Business School and a Director Emeritus of McKinsey & Company, Inc. In his 32 years with the Firm, he has developed deep experience leading major strategic repositioning of global organizations often accompanied by large scale transactions. Mr. Fubini is the founder and leader of the Firm’s Worldwide Practice supporting transactions, mergers, and integrations. Mr. Fubini and his Practice, focus on enabling clients to architect and execute major transformational programs that accompany large acquisitions, divestitures, and mergers. He has led efforts for nearly a dozen of the 25 largest global transactions over the past several years and has deep experience with a wide array of the leadership and operational challenges that accompany these major strategic programs. Prior to joining McKinsey, Mr. Fubini was an initial member of a small group that was to become the McNeil Consumer Products Company of Johnson & Johnson and helped launch the Tylenol family of products into the OTC marketplace. Mr. Fubini is a member of several of the prominent Boston civic organizations including being on the Executive Committee of: the United Way of Mass Bay, YMCA of Boston, Boston Chamber of Commerce, the Boston Municipal Research Bureau, and the Inner City Scholarship Fund. He is also member of the UMass Amherst Foundation, UMass Eisenberg School of Business Dean’s Committee and a member of the Harvard Business School Dean’s Advisory Council. Mr. Fubini has also, at the request of the Mayor, become one of the 5 members of the Host Committee for Casino Operations in Boston helping negotiate on behalf of the city with Harrah's/Caesar's. Finally, Mr. Fubini is an active member of the Mayor’s Ad hoc Committee on Boston’s Energy Sustainability. Dr. John retired from Sandia National Laboratories, a science and engineering laboratory, in September 2006, after having served as Vice President of Sandia's California Division from April 1999 to September 2006. She previously served in a number of managerial and technical roles for Sandia from 1982 to 1999. Dr. John is a member of the Department of Defense's Defense Science Board and Threat Reduction Advisory Committee and chairs the National Research Council's Naval Studies Board. She also serves on the boards of a number of federally funded national security laboratories. Senate Confirmed in May 2012, Mr. Frank Kendall previously served as the Under Secretary of Defense for Acquisition, Technology and Logistics (AT&L). In this capacity, he was responsible to the Secretary of Defense for all matters pertaining to acquisition; research and engineering; developmental testing; contract administration; logistics and materiel readiness; installations and environment; operational energy; chemical, biological, and nuclear weapons; the acquisition workforce; and the defense industrial base. He led the Department of Defense’s efforts to increase the Department’s buying power and improve the performance of the defense acquisition enterprise. Prior to this appointment, from March 2010 – May 2012 he served as the Principal Deputy Under Secretary and also as the Acting Under Secretary. Robert C. Kovarik, Jr., has held various leadership positions at globally recognized accounting and consulting firms. Most recently, Mr. Kovarik served as a partner at Ernst & Young, LLP from 2002 to 2008. He was part of the National Professional Practice group from 2005 to 2008, where he was a practice director for the Mid-Atlantic Area. From 2002 to 2005, Mr. Kovarik was an engagement partner for a wide range of corporate clients operating in both the government services and commercial markets. Prior to Ernst & Young, Mr. Kovarik was with Arthur Andersen, LLP for over 25 years. At Andersen he held a variety of leadership positions, and served as engagement partner for many large public and private companies with operations in the United States and around the world. Mr. Kovarik has served as an adjunct professor at both the University of Maryland and the University of Virginia. He obtained his undergraduate degree from Wake Forest University and an M.B.A. from Emory University, and is a Certified Public Accountant. 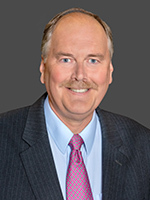 Mr. Kovarik also serves on the Board of Trustees of CareFirst, Inc. and Group Hospitalization and Medical Services, Inc., where he is the Chair of the Finance and Investment Committee and a member of the Audit Committee. He previously served on the Board and as Chair of the Audit Committee of Alliance Bankshares Corporation. Mr. Kraemer has been an executive partner of Madison Dearborn Partners, LLC, a private equity investment firm, since April 2005, and has served as a professor at the Kellogg School of Management at Northwestern University since January 2005. Mr. Kraemer previously served as the Chairman of Baxter International, Inc., a health-care products, systems and services company, from January 2000 until April 2004, as Chief Executive Officer of Baxter from January 1999 until April 2004, and as President of Baxter from April 1997 until April 2004. Mr. Kraemer also served as the Senior Vice President and Chief Financial Officer of Baxter from November 1993 to April 1997. Mr. Kraemer is also a member of the Boards of Directors of Catamaran Corp., Sirona Dental Systems, Inc. and VWR International. 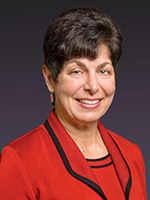 Dr. May currently serves as the 7th Chancellor of the University of California at Davis. He has previously served as the Dean of the College of Engineering at the Georgia Institute of Technology from 2011-2017, the Chair of the School of Electrical and Computer Engineering from 2005-2011 and was the executive assistant to Georgia Tech President G. Wayne Clough from 2002-2005. May was a National Science Foundation and an AT&T Bell Laboratories graduate fellow, and has worked as a member of the technical staff at AT&T Bell Laboratories. He is a member of the National Advisory Board of the National Society of Black Engineers. He has authored over 200 articles and technical presentations in the area of IC computer-aided manufacturing. Dr. May received the B.E.E. degree in electrical engineering from the Georgia Institute of Technology in 1985 and the M.S. and Ph.D. degrees in electrical engineering and computer science from the University of California at Berkeley in 1987 and 1991, respectively. 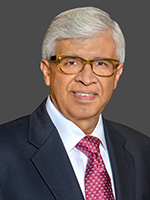 Surya N. Mohapatra, Ph.D., has held senior leadership positions in the health care industry for more than 30 years, most recently as the Chairman, President and Chief Executive Officer of Quest Diagnostics Incorporated, the world’s leading provider of diagnostic testing, information and services where he had been a senior executive since 1999. Dr. Mohapatra is a past Board member of the ITT Corporation and is currently a member of the Board of Directors of Xylem Inc., a leading global water technology and transport company. He is also a Trustee of The Rockefeller University and an Executive in Residence at the Columbia Business School. Dr. Mohapatra holds a BS in Electrical Engineering from the Regional Engineering College, Rourkela, India; a Master of Science in Medical Electronics from the University of Salford, England; and a Doctorate in Medical Physics from the University of London and the Royal College of Surgeons of England. 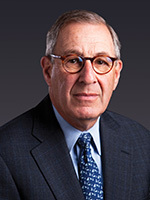 Lawrence C. Nussdorf is Chairman & Chief Executive Officer of Clark Enterprises, a privately held company with extensive interests in real estate, private equity and traditional investments. He previously served as President, Chief Operating Officer and Chief Financial Officer of Clark. Mr. Nussdorf is a member of the Executive Committee of the Anti-Defamation League (DC Chapter), a Trustee of WETA and the United Jewish Endowment Fund of Greater Washington, a Director of the A. James & Alice B. Clark Foundation and a founding member of the Advisory Board of the Penn Institute for Urban Research. 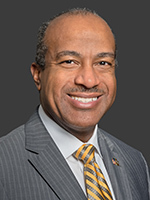 He previously served on the Boards of Clark Construction Group, LLC; Pepco Holdings, Inc. (NYSE:POM); Capital Source, Inc. (NYSE:CSE); as well as numerous DC-area nonprofits, and is a former Trustee of the University of Pennsylvania. Mr. Nussdorf is a member of the District of Columbia Bar Association and is also a Certified Public Accountant (inactive status). He received his BS in Economics from the Wharton School of the University of Pennsylvania, his JD from Rutgers School of Law, and an LLM (Tax) from Georgetown University Law Center. Mr. Nussdorf is the recipient of the Alumni Award of Merit from the University of Pennsylvania and the Outstanding Director Award from the National Association of Corporate Directors. 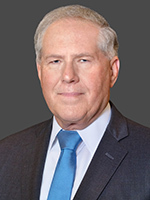 Bob Shapard is Chairman and CEO of Oncor Electric Delivery, formerly named TXU Electric Delivery. He is also over-seeing Oncor’s infrastructure investment program, which is focused on transmission and distribution network expansion and upgrades, including the largest deployment of automated meters in the state and other new digital technologies across the network. Prior to rejoining TXU in 2005, he served the company for 20 years in various financial and operating leadership roles, finishing as managing director of former subsidiary TXU Australia. 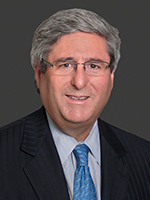 Prior to his current tenure at TXU, he served as chief financial officer of Tenet Healthcare Corporation where he oversaw all financial activities for Tenet and its subsidiaries. Prior to this position he previously held executive positions at Exelon Corporation, Covanta Energy Corporation, and Ultramar Diamond Shamrock. Susan M. Stalnecker was employed by E.I. 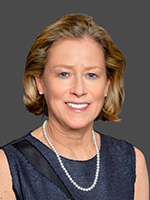 du Pont de Nemours & Co. from 1977 to 2016, serving in numerous senior roles during her tenure, including 10 years as Vice President and Treasurer and most recently as Vice President, Corporate Productivity and Hospitality. Ms. Stalnecker previously served on the board of directors of PPL Corporation, a public holding company of PPL Electric Utilities Corporation from December 2001 to January 2009, and on the board of trustees of Duke University from 2003 to 2015. 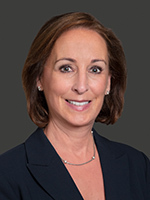 She currently serves on the board of directors and audit committee at Duke University Health System, Inc. Ms. Stalnecker received her undergraduate degree from Duke University and an MBA from The Wharton Graduate School of Business. Noel Williams is the retired President of HCA Information Technology & Services, Inc., a wholly owned subsidiary of Nashville-based HCA (Hospital Corporation of America). Ms. Williams has over 35 years of experience in healthcare IT. She spent 16 years in HCA’s Information Service Department in a variety of positions and her leadership helped earn HCA’s Internet Systems and Services over 20 industry awards. Ms. Williams has previously served on the boards of Franklin Road Academy, the United Way of Middle Tennessee, The Nashville Alliance for Public Education, the National Alliance for Health Information Technology (NAHIT), The HCA Foundation and the American Hospital Association Working Group for Health IT Standards. Ms. Williams is an Emeritus member of the Vanderbilt University School of Engineering Committee of Visitors and a member of the Leadership Nashville class of 2010. She served as an adjunct professor in the Owen School of Management of Vanderbilt University for several years. During fiscal 2017, the Board of Directors held 7 meetings of the entire Board and 6 meetings of only the independent directors. Each regularly scheduled meeting of the Board of Directors includes an executive session of the independent directors. During fiscal 2017, no director attended fewer than 75% of the aggregate of the meetings of the Board of Directors and committees of the Board of Directors on which they served.